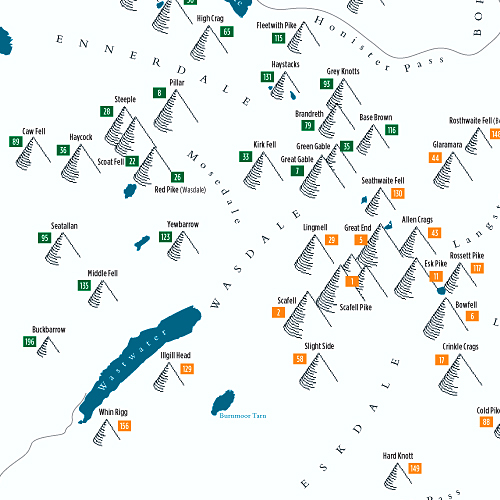 The fells are drawn pictorially, the size of each illustration gives approximate representation of the height of the fell. 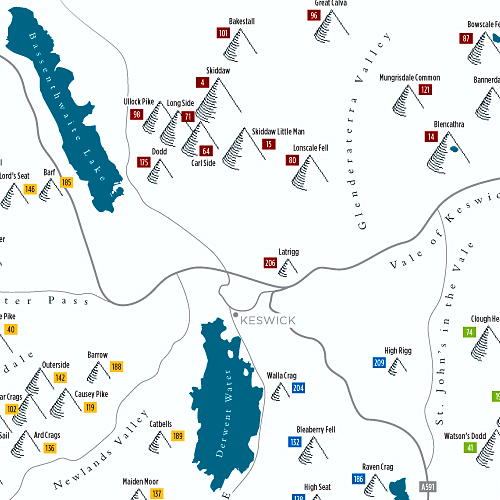 Each fell is clearly named and numbered (in order of altitude) and its associated Wainwright area (or book) colour is clearly defined. 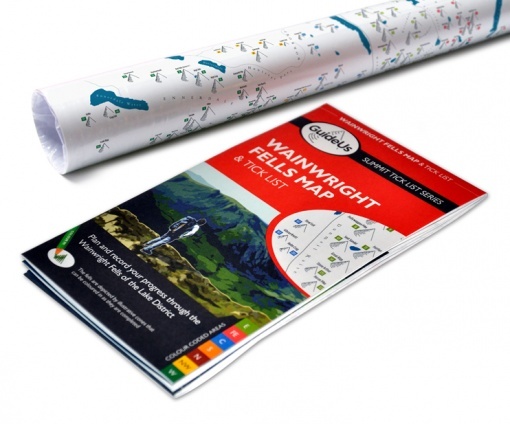 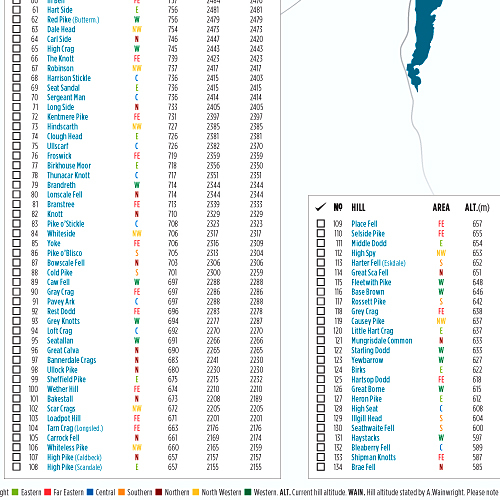 For each fell in the chart there is a tick box, a date field to record the date of ascent, the fell number (in order of altitude, largest to smallest), the fell name, the area (or book) to which the fell belongs, altitudes in metres/feet and also Wainwright's original altitudes in feet. 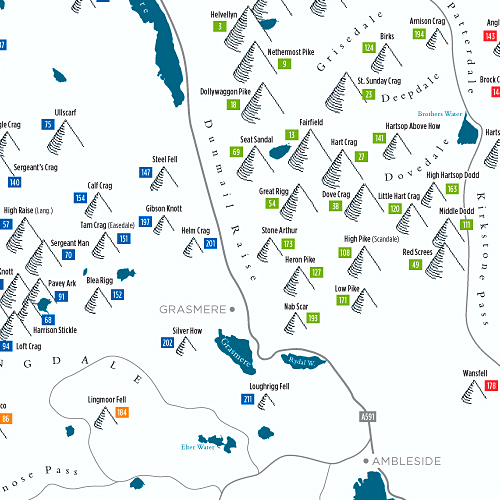 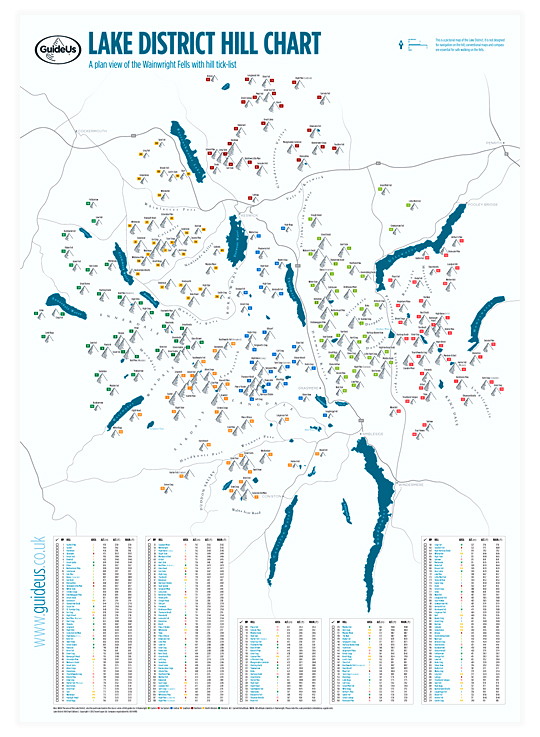 All major lakes, valleys, roads and towns of the Lake District are shown to aid navigation.